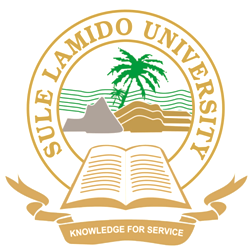 Sule Lamido University, SLU (formerly Jigawa State University) acceptance fee payment procedure for the 2018/2019 academic session newly admitted candidates. In our recent post, we informed you that Sule Lamido University (formerly Jigawa State University), Kafin Hausa, Jigawa State, has release her merit admission list, authorities of the institution specified the date for the collection of admission letters and the amount to be paid as admission acceptance fee by the 2018/2019 academic session newly admitted candidates. Following the publications of the UTME and Direct Entry Admission Lists of the Sule Lamido University (SLU), Kafin Hausa, Jigawa State, the management released the amount newly admitted candidates are required to pay as admission acceptance fee and the payment procedure.